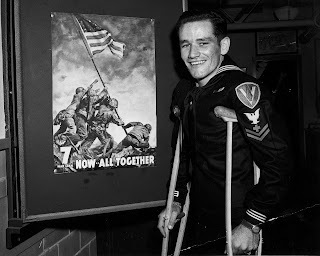 John Bradley in front a war bond picture depicting the Flag Raising. John "Doc" Bradley was a Pharmacist's Mate 2nd Class in the US Navy during World War II. 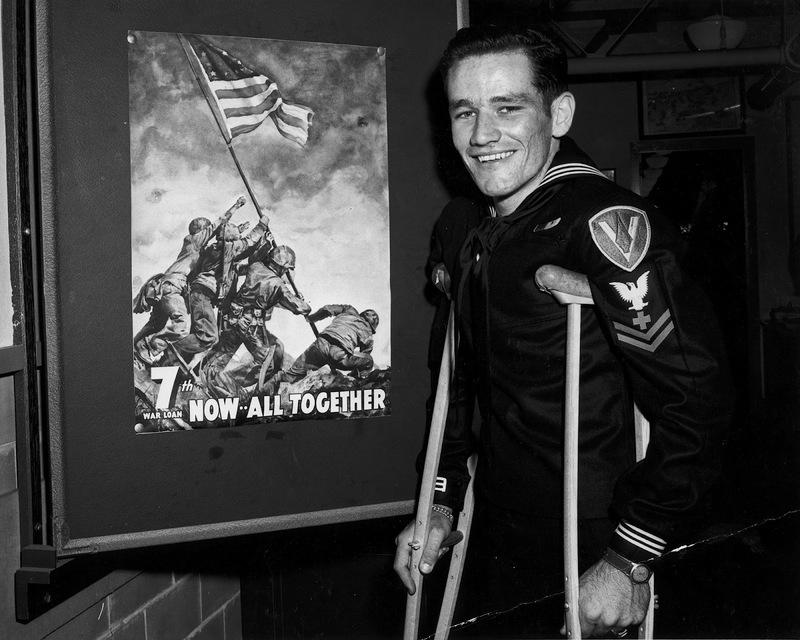 Doc Bradley was one of six men in the iconographic picture of the second flag raising on Iwo Jima. Doc's constant assertion that the true Hero's of Iwo Jima were the men who never came home, fit my description of a Hero. "For extraordinary heroism in action against the enemy at Iwo Jima on Feb. 21, 1945 as a hospital corpsman attached to a Marine Rifle platoon. During a furious assault by his company upon a strongly defended enemy zone at the base of Mt. Suribachi, Bradley observed a Marine infantryman fall wounded in an open area under a pounding barrage by mortars, interlaced with a merciless crossfire from Machine guns. 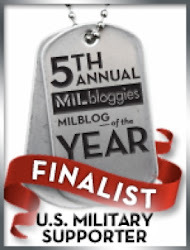 With complete disregard for his own safety, he ran through the intense fire to the side of the fallen Marine, examined his wounds and ascertained that an immediate administration of plasma was necessary to save the man's life. Unwilling to subject any of his comrades to the danger to which he had so valiantly exposed himself, he signaled would-be assistants to remain where they were. Placing himself in a position to shield the wounded man, he tied a plasma unit to a rifle planted upright in the sand and continued his life saving mission. The Marine's wounds bandaged and the condition of shock relieved by plasma, Bradley pulled the man thirty yards through intense enemy fire to a position of safety. His indomitable spirit, dauntless initiative, and heroic devotion to duty were an inspiration to those with who he served and were in keeping with the highest tradition of the United States Naval Service." Doc was an amazing man and I highly recommend you read his son's book Flags Of Our Fathers by James Bradley. It was a very well written book which covered the lives and actions of all six Flag Raisers, as well as other Marines and the scarifies they made on Iwo Jima. I know Doc would have given anything to save more lives, especially that of his best friend Iggy. He is a man who's ethics, humility, and compassion should be aspired to for all future generations. 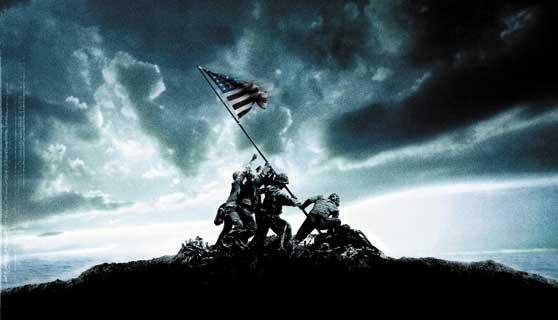 Joe Rosenthal's famous photograph of the second Flag Raising on Iwo Jima.